Keep an eye on this site and our Facebook page for updates! Starting November 21st, the CWC will offering a regular Zumba class at 9am on Saturdays with Ayssa Dantzler! 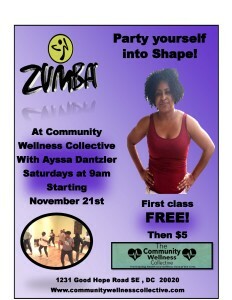 Ayssa (pronounced Asia) is an ACE Certified, Group Fitness Instructor with specialties in Zumba and TurboKick. She is also CPR/AED certified. 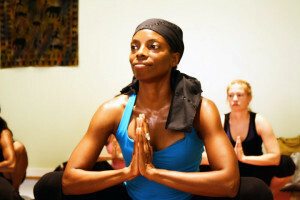 Ayssa brings her passion for an active, healthy lifestyle to each and every class. She would love for you to join in on the fun! When you take a class with Ayssa, be prepared to work to your best ability. Ayssa’s focus is to motivate, encourage, and inspire participants to go beyond their perceived limits. She strongly believes that encouragement and positive reinforcement are essential to success. 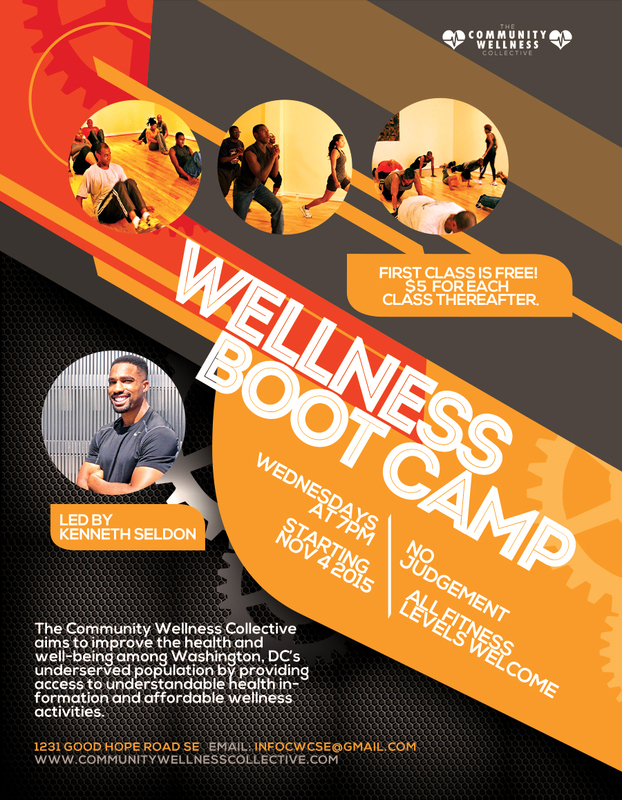 CWC is excited to announce that we are now offering a regular Bootcamp class on Wednesdays at 7pm with Kenneth Seldon, Jr. starting November 4th! All levels welcomed- sign up on through our schedule tab. We are very excited to welcome Kenneth to the CWC community! About Kenneth: Kenneth Seldon Jr is a DC based personal trainer. He has been helping people move better and look good naked for over ten years. He specializes in helping people lose weight and bodyfat. Kenneth was not physically fit as a teenager and used strength training to improve his physique and confidence. He then realized he could use his skills and experience to help other people achieve their fitness goals. Kenneth holds CSCS and CPT certifications through the NSCA. He is a full-time personal trainer at Bodysmith Gym & Studios in DC. 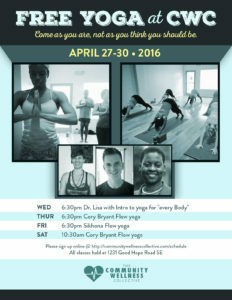 Community Wellness Collective: We are on the move!! The Community Wellness Collective (CWC) is a low cost, community-based health and wellness program located at 1231 Good Hope Road SE, Washington, District of Columbia, 20020 (inside of Anacostia Arts Center) that aims to get people moving and learning about basic health promotion and disease prevention.